"Awesome casino - great games - stunning promos"
If you are a player in the State of New Jersey – you are in luck. 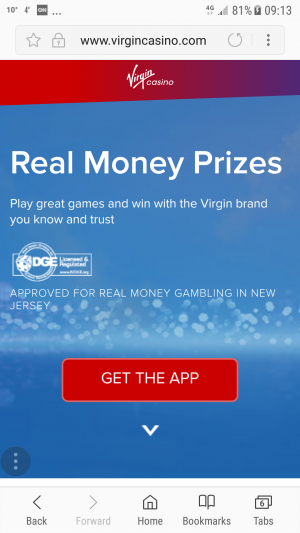 Virgin Casino is available for your gaming pleasure. The European facing Virgin casino was always one of my favorites, they were listed at Casinomeister for nearly a decade without a complaint – how awesome is that? Anyway, here we have the US facing version – licensed in the state of New Jersey – and they are almost just as good. Why almost? Well, because of the ignorance of US politicians you will find only a limited amount of games at Virgin – so it’s really not their fault. But one thing for sure, the games that they have are outstanding. You will recognize the IGT and WMS games – these are games that are common to the land-based casinos world wide, and that’s fine and dandy. But what you’ll get here at Virgin are also the games from NetEnt, which in my opinion are superior to IGT and WMS. Our members think so as well. We conducted a poll a few months ago that shows that Netent is one of the most preferred gaming provider – scoring much higher than IGT or WMS. Check out Dead or Alive, Jack hammer, Starburst, Guns ‘n roses, or Motorhead and you will see what I mean. One thing that sets Virgin apart from their competitors is that their promotions are unique. You can win cruises via Virgin Adventures, concert tickets, even Starbucks gift certificates. Also, they only have a one time play-through wagering requirement for their bonuses. So there you go – that’s an obvious reason to join. 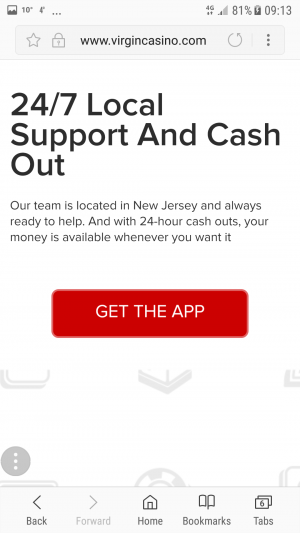 Virgin casino is also available via your smart phone, but you need to download the app. But take my word for it – these games look great on your phone or hand held device. 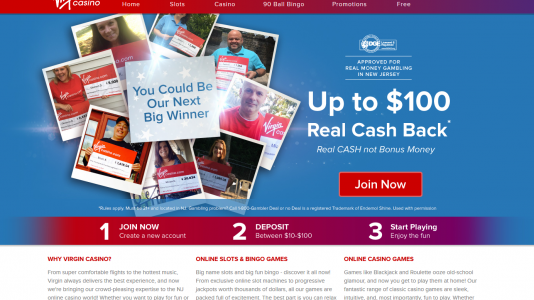 All in all – Virgin casino is a great casino. I would recommend them to my best of friends. And when gambling, please play smart. 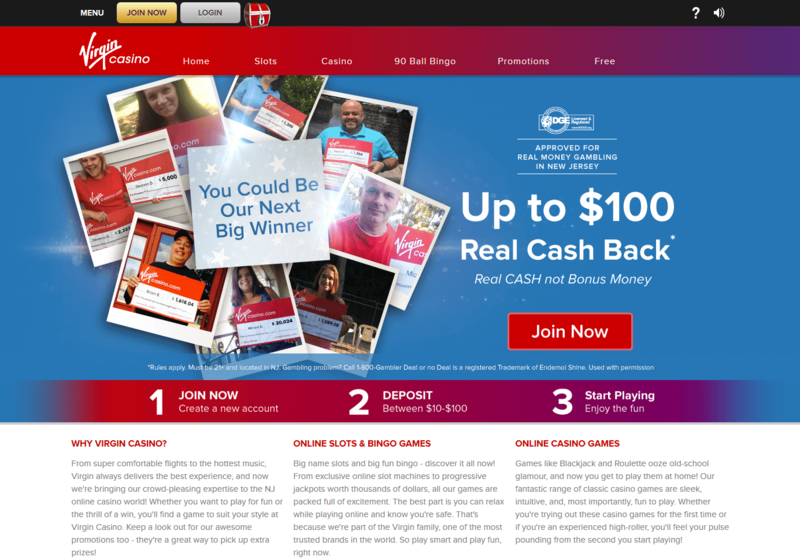 For further information, please check out our review at Casinomeister.US. Virgin Casino has always been one of my personal favorites. Their European facing casino came on board at Casinomeister in the early days (about 2004), and what impressed me was that they were able to provide players with awesome promotions – delving into the Virgin family of resources – vacation packages, music, DVDs, electronics, all sorts of ingenious promotions were at their fingertips…and they still are. This is one of the few casinos where you can win concert tickets (like for Guns ‘n Roses), or a Virgin Cruise to a destination of your choice. You can even win Starbuck gift certificates, how about that? Simply put it’s a great casino. Virgin Casino has a great selection of videoslots. Not only do they have the standard IGT and Williams Interactive slots that you are probably familiar with from the casino floor, but they also host NetEnt games which, in my opinion, are superior. Dead or Alive is probably the most popular slot according to player comments in our forum – and I can attest it is a great slot. Starburst is another, Steam Tower, Jackhammer, Bloodsuckers, and lest we not forget some of the rock and roll themed Guns’n Roses, and Motorhead. 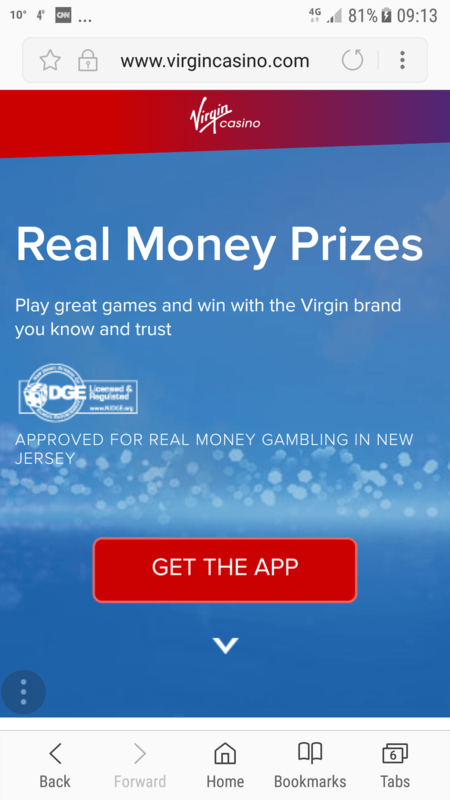 Video poker is not so hot at Virgin – since online casinos seem to be focused on the slot player (which is a bit of a myopic approach to this industry I must say). 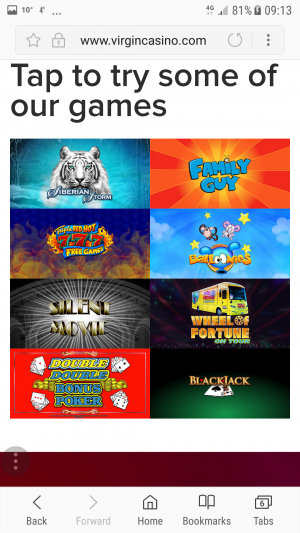 There is only one software provider that offers outstanding video poker games and that is Microgaming – which is regrettably not available to US players. You can thank the US government for that. Virgin Casino has some table games, 23 in total – woo-hoo (to include their limited VP). Nothing special here. Live games? Sorry – nope. Virgin Casino is available for your Android, iPhone, or hand held device. You’ll need to download their app before signing up or logging in. The games look awesome on you phone – you won’t be disappointed. As I mentioned, Virgin Casino is one of my personal favorites. They had the record at Casinomeister for generating zero complaints in the span of nearly a decade. You know they are doing something right when this happens. I would recommend them to my best of friends.